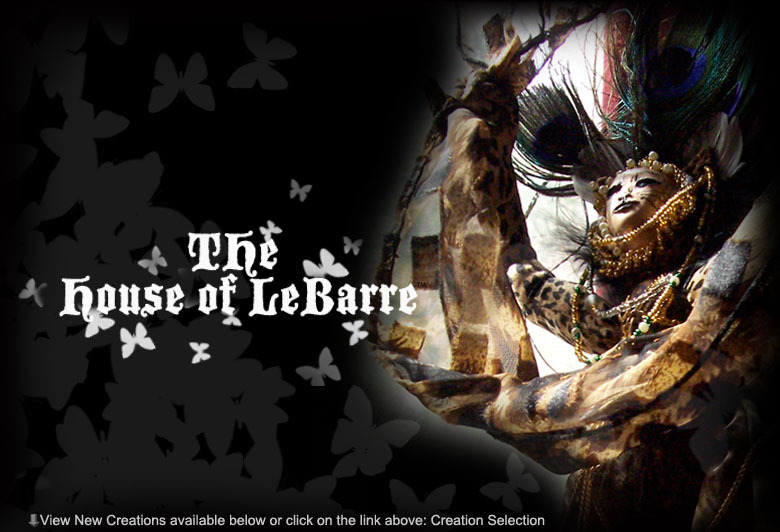 Peek into the Enchanted world of The House of LeBarre: A variety of selections available including soft sculpture, clay media, jewelry, and other magical creations. Each creation is a hand crafted one of a kind work of art. She creates soft sculpture, clay media, jewelry, purses, magical creations. fairies, witches, elves, frogs. They are all ooak creations, and only the finest locally available velours and iridescent materials are used. You will find many items for sale, and feel free to contact me throu the contact info link below.